Vale Street has been named the steepest road in the UK and locals are forced to tie their cars to lampposts when the road gets icy. Some people just stay at home and have a day off, resident Mat Goren told BristolLive. Every Easter residents take part in an egg-race where the person whose yolk travels the furthest without breaking is crowned the winner. 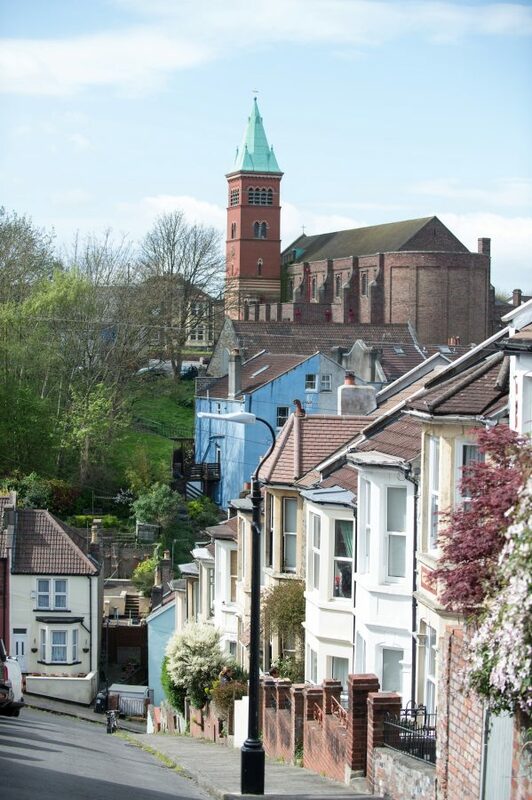 Situated in the Totterdown district of Bristol, the 22-degree slope has attracted cycling enthusiasts who say it is ‘just about rideable’ on Twitter. It has been featured on the dangerousroads website which shows spectacular streets around the world and Road Cycling UK claims it is ‘as much of a mental hurdle as a physical one’. Christian Gittings said ‘wow I would not want to live here’ while another person said they will be ‘squealing all the way’ and are ‘waiting for [their] legs to return’ before taking on the steep climb. Twenty-seven-year-old Tom Evans and his girlfriend walk or take the bus instead. Julie Wheat has lived on the street and driven up it for more than two decades. She has even seen men trying to ski down. She told BristolLive: ‘You whack [the car] into first gear, put your foot down and hope nobody is coming down because once you have started, you have just got to keep going. Sainsbury’s and Ocado delivery trucks have driven into her front garden. Home-owner Katherine Haddow said deliveries can be ‘hilarious’ with lampposts being knocked over and everyone ‘hears screeching’. She has never driven up the road and clutches on to the railings to get up in the icy weather. Old people and cycling groups do however use it for training. ‘You get kind of used to it’. Katherine added how the road’s height gives residents an advantage of ‘completely unobscured’ views across the city. 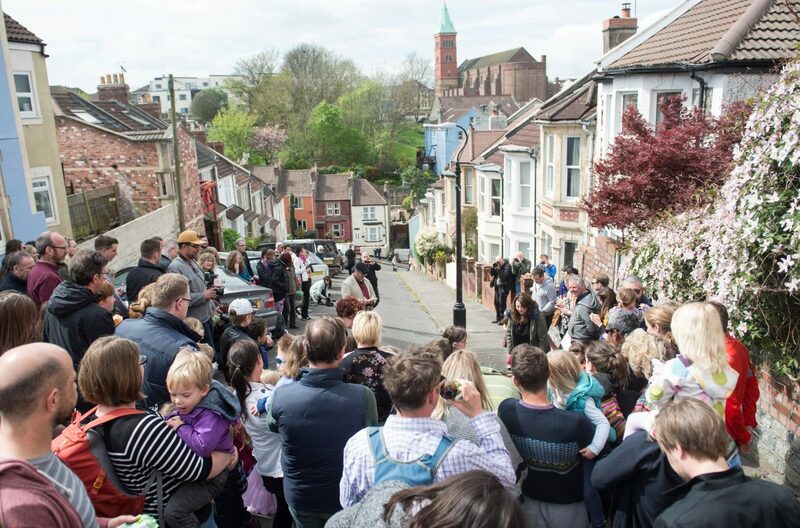 He began the eagerly-anticipated egg-race more than 20 years ago with a few neighbours. The Bristol hill is four degrees steeper than Old Wyche Road in Worcestershire and followed by roads in Sheffield, Lincoln and Dorset.